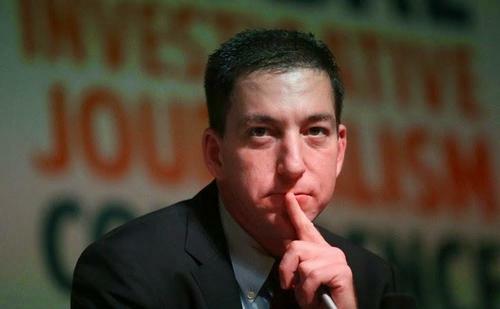 Glenn Greenwald, the well-known journalist for The Intercept and the reporter who worked closely with NSA whistleblower Edward Snowden to expose vast US government illegal domestic spying, explained this week how mainstream media ‘gate-keeping’ and suppressing alternate perspectives works, especially when it comes to reporting American foreign policy. The veteran journalist took to Twitter after this week’s latest display of blatant hypocrisy surrounding Secretary of State Mike Pompeo’s getting Congressional certification for the US military to continue assisting the Saudis and Emirates, despite the astounding rising death toll of Yemeni civilians killed by Saudi-US coalition attacks, including last month’s shocking airstrike on a school bus, which the Red Cross reported killed 40 children. It is indeed a stunning piece of cable news history that rivals Madeleine Albright’s infamous words during a 1996 60 Minutes appearance where she calmly and coldly proclaimed of 500,000 dead Iraqi children that “the price is worth it”. As part of the clip that Greenwald resurrected from internet obscurity, CNN’s Wolf Blitzer railed against Senator Paul’s opposition to a proposed $1.1 billion US arms sale to Saudi Arabia by arguing that slaughter of Yemeni civilians was “worth it” so long as it benefits US jobs and defense contractors. At the time of the 2016 CNN interview, Saudi Arabia with the help of its regional and Western allies — notably the U.S. and Britain — had been bombing Yemen for a year-and-a-half, and as the United Nations noted, the Saudi coalition had been responsible for the majority of the war’s (at that point) 10,000 mostly civilian deaths. Many people have strong opinions about which TV hosts you are and are not allowed to be interviewed by. The CNN personality who suggested that the US should continue to arm the Saudis to destroy Yemen to maximize defense industry profits – Wolf Blitzer – is on the “allowed” list. In the scheme of deciding who is good and who is bad: what weight do we give to those who assisted the Saudis in destroying Yemen and creating one of the world’s worst humanitarian crises versus those who tried to stop that? What role has the heroic US media played in this? Beyond Rand Paul (R-KY) one of the other few consistent voices in Washington objecting to the US/UK/Saudi destruction of Yemen since it began in 2015 is Chris Murphy (D-CT). The role of the US media, as always with US wars, has been to suppress, ignore, justify, or propagandize. And who is on the mainstream media’s “allowed list” which by design bestows automatic legitimacy on “real reporting” while simultaneously keeping critics outside mainstream and prominent platforms? One of the favorite phrases the US media loves to recite to justify and elevate what they do, and to delegitimize their critics and those who do journalism outside of their structures, is “real reporting.” There’s never a discussion of what they mean by that. There should be.